Today was just one of those long days that we have every now and then. This morning I had an early meeting so I had to leave home about 6:30 AM. And I didn’t get home until 10 PM. When I left home, my 10 month old son was sleeping and certainly at the hour that I returned home, he was sleeping as well. So I missed my daily highlight. What’s that, you ask? Well, each day, as I get home and unlock the door and step into the house, with the sounds that opening the door makes, my son is alerted to the fact that I’m home. So by the time I walk into the room, the big smile is already as wide as you might imagine. At that point, he’s usually in my wife’s arms. Then he begins giggling and wrestling his way to try to get to me. When he gets down, it’s a full sprint to me – well, as much “sprint” as you can get by creeping. These moments are what life is all about. It’s more precious than I could describe in a blog post. It’s just something that I live for. I recall when my 12 year old daughter was at that stage. It was an absolute delight to come home every day to her “upbeat” greeting. Then when she went to daycare, it was the same thing. Later on when she was able to walk and talk, just hearing her say, “Daddy” and running to leap into my arms was just something to live for. The bond between a mother and child is so natural. First, it’s the mother who carries the child for 9 months. Then at birth, it’s generally the mother who nurtures and brings that baby along. And particularly when the mother breastfeeds the child, that bond is strengthened. It’s just natural for a mother and child to bond. The bond between a father and child is different. It’s also natural but it’s something that generally requires a bit more effort. The father has to be a constant presence in the life of that child and needs to be really engaged for that bond to be formed. He has to know the child’s personality and do the necessary things to establish the lifetime connection. My wife is an absolutely wonderful mother. She nurtures our son, reads to him and teaches him as much as a 10 month old can learn. She does all those special things that make him feel special. She spends so much more time with him than I do. For me, if I am not a proactive parent, I could easily become a bystander to his growth and development. But I’m committed to being a father who is always engaged in my kids lives – regardless of how busy I may become. As I’ve been working on this project, it came to mind that my son is now at the stage where he recognizes people and chooses whether or not he wants to go into their arms. I wonder how many babies would refuse to go into their dads’ arms because to them, he’s a total stranger. How many fathers are missing their kids grow up because they’re climbing the corporate ladder and conquering the world? Read Cats in the Cradle: A Lesson for Working Parents for more on this. I also wonder how many kids grow up knowing more what others say about their dad than knowing their dads for themselves. These are questions that ought to make us think. In the United States alone, 24 million kids live a home without their biological father. Many of these kids do not know and will never know who their dad is. Other kids do know their dads but to them, he’s just another person who they know – there’s no kind of bonding that was ever formed. And what about the absentee fathers living at home? I wrote a blog post about this issue – Click Here to read it. These dads may be physically present but they get up early and work late. 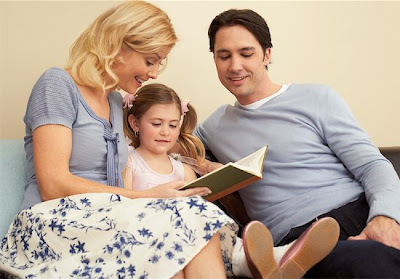 They may be at home but are otherwise engaged that they miss their kids growing up. Or perhaps they travel for work and are home on the weekends but prefer to hang out with their friends instead of bonding with their kids. 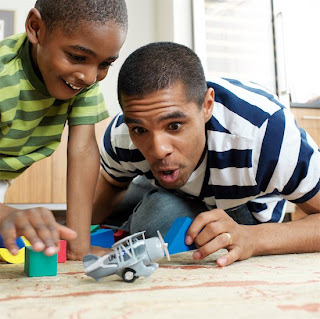 Studies show that when kids do not have actively engaged fathers, they are at a competitive disadvantage. I share statistics periodically on this blog that support this statement in every way. And as our organization is working on its initiatives, I’m learning more and more that kids without fathers have a challenging road to travel. Bonding with kids doesn’t have to be something complex. It doesn’t have to be costly. I often say that kids know you love them by the time you spend with them. You can sit at home and literally do nothing other than spending time with them and entering into their world. Certainly you can take them out to do fun activities. Go to Disney World, if you will. The possibilities are endless. But however complex or simple the activities may be, spending meaningful time forming that bond is what it’s all about. This year my parents celebrated their 47th wedding anniversary. I am so fortunate and blessed that they both have been actively involved and engaged in my life as well as my siblings. I learned how to be a father by watching my dad and seeing how he lovingly cared for us while instilling in us discipline. 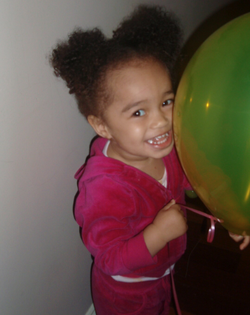 So as I became a father 12 years ago, it was natural for me to bond with my daughter. Now with a young son, nothing has changed. Being a father is a privilege that I’ll never take for granted. In When Good Fathers Go Bad, I wrote about dads who effectively divorce their kids when their marriages end. More kids need fathers who are committed to their well-being regardless of the challenges that arise. When I divorced almost 10 years ago, despite the challenges that I encountered throughout the legal ending of that union, in my view, nothing changed in terms of being a dad. And now that I’m happily remarried with a young son, I just continue to be the father that I have always been. Fatherhood is perpetual because whether or not the relationships that produce kids work out, the role of being a father never ends. If you’re a dad, I hope that you do the little things along the way to let your kids know they’re the apple of your eye, as the expression goes. Climbing the corporate ladder is great. But being a dad and influencing your kids’ lives in a positive way is even greater. As you provide for them, do ensure that you become the kind of dad who has an unbreakable bond with his kids. That’s something worth living for. Great post. I can totally relate to the experience of coming home when you've been away the whole day and the seeing and feeling the excitement of my daughters as babies when I opened the door.